He called out to the lone ranger walking across the horizon without a sense of time. In a beautiful, yet unknown sense of belonging he felt that there was no need to believe in what he was doing, because he felt completely all right. That is something that they usually call a rhetoric that pleases not only the mind, body but also your soul. A sense of feeling that speaks of the divinity you seek within yourself. “On the contrary, I have found myself, he whispered,” as he spoke with a hint of fatigue in his voice. A voice that spoke of a thousand miles, traversed across a journey that he took with sheer determination albeit without any surmise. “Most certainly, I did. But what’s more important is that it doesn’t stop here…” He had a spark in his eyes, and a belief that spoke of the Grand Voyage, a voyage that he had in mind to embark upon without any qualms, without any fear, only to speak of a reprise of his journey so far. “Wherever the path takes me..” He smiled as he walked away. 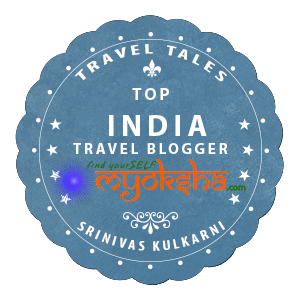 This entry was posted in Travelogues, Stories and Life on September 19, 2015 by srinistuff.